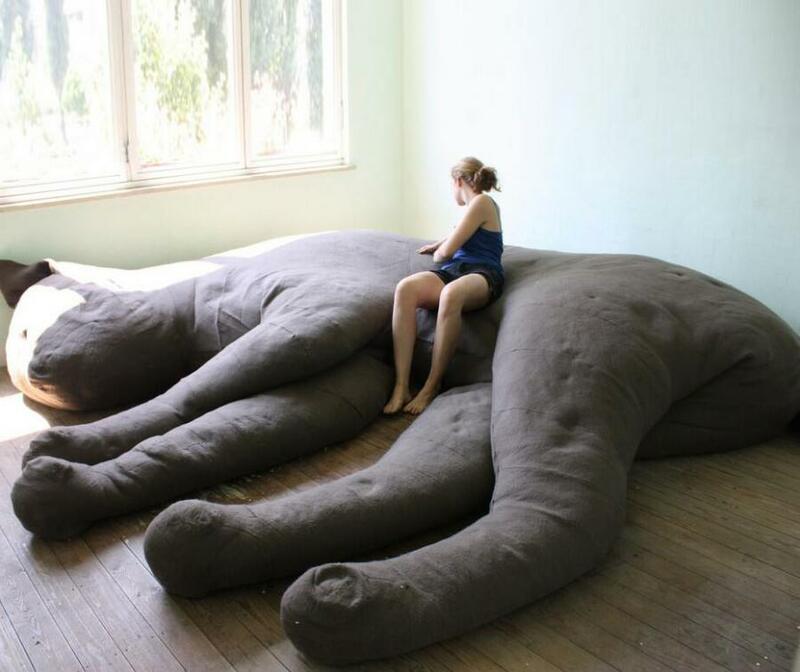 The Giant Cat Sofa is a concept designed for an art project for individual artists to express their own version of "living" using vacant apartment spaces in Manchester. 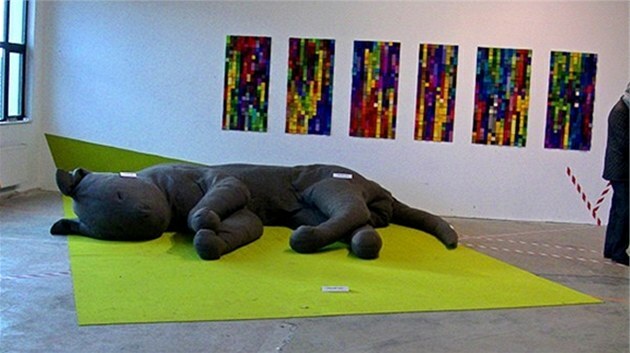 The artists were the last inhabitants of the apartments before the entire distric was demolished. 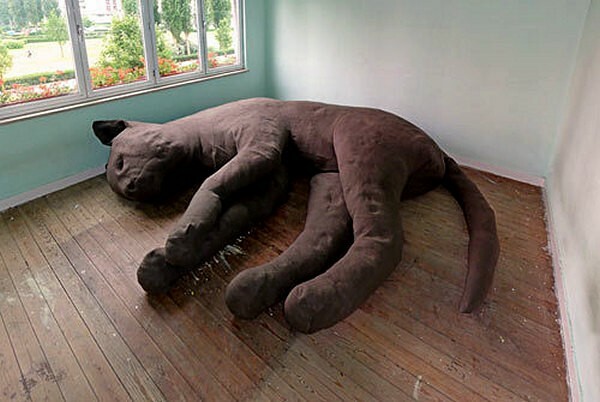 The giant sleeping cat sofa was inspired by the wallpaper used in the last occupants child's room. 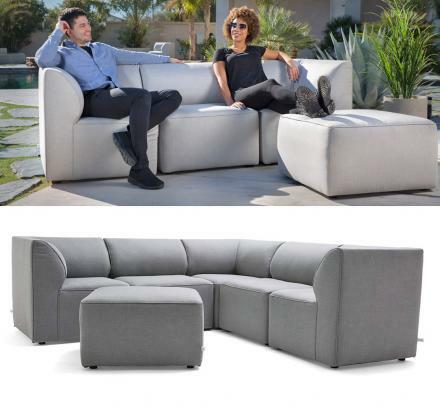 Although this is just a concept, if someone were to create a kickstarter campaign to make giant cat sofas, I can assure you it would exceed it's goal within hours. The giant cat sofa was made from felt and stuffing, and measures 3.5 meters (11.5 feet) in length, and visitors to the art exhibit were allowed to sit on it's lap so that the cat could get a taste of it's own medicine for once.